We All Start As Strangers. Don't be a stranger, drop in and say hi! 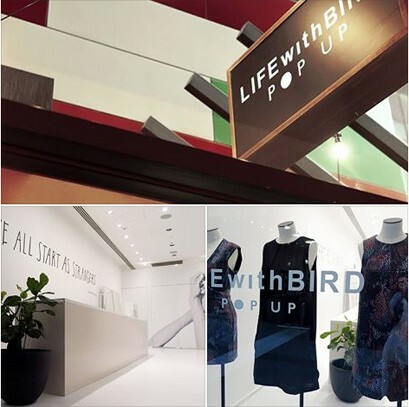 One of Missy's favourites, LIFEwithBIRD, have taken up residency at QV Melbourne – Shop 26 Albert Coates Lane. For the Pop Up, LIFEwithBIRD is excited to announce its collaboration with ‪#‎Melbourne‬ based artist Bianca Cash, who has designed an exclusive typography based art installation.